Look around any garden centre and time and time again you will see the same old Crocosmia hybrids being offered. Namely C. 'Lucifer' and 'Emily Mckenzie', yawn! Of course these are both fantastic hybrids, but you may be surprised to find out that there are many other cultivars to choose from, including seven which have received the prestigious Award of Garden Merit (AGM) from the Royal Horticultural Society. One of the very best forms to appear in recent years is the absolutely stunning Crocosmia 'Hellfire'. Growing to a meter high, this new variety has upright pleated, lance-shaped leaves, atop which rise dark flowering stems. These display incredibly rich, deep-red blooms in tight clusters. Each reflex petal opens up wider than most other forms. The individual flowers are in fact larger than those on Crocosmia 'Lucifer'. 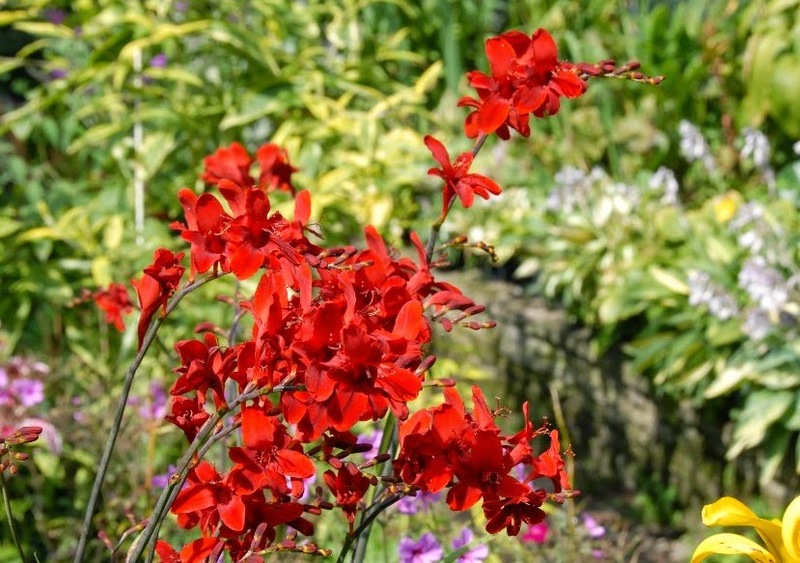 If you are ever concerned that your Crocosmia may not come into flower, not to worry as Crocosmia 'Hellfire' flowers about a month later than the usual hybrids. Expect them to appear from July to August. They will do well in both full sun or part shade, and thrive in moisture retentive soil. It is a robust plant once established but can be prone to mildew in its first year as it doesn't like being transplanted. 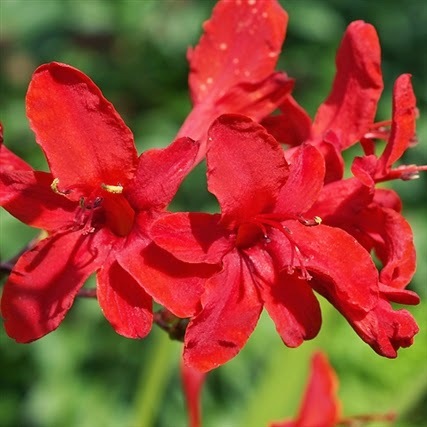 You best chance to purchase Crocosmia 'Hellfire' is from a specialist nursery on-line but if you are able to get old of some pre-packed corms then plant them at least 4 inches deep and split the clump every 3-4 years to ensure a good supply of flowers.